‘Dupattas’ are well-known to us, Indian women. We grew up seeing the stylish ones worn at festive occasions and the ordinary ones at home, even worn on ‘night wear’ by some women, which always intrigued me and still does…anyway, the purpose of this post is bigger than researching why a ‘dupatta’ is needed over some night wear! 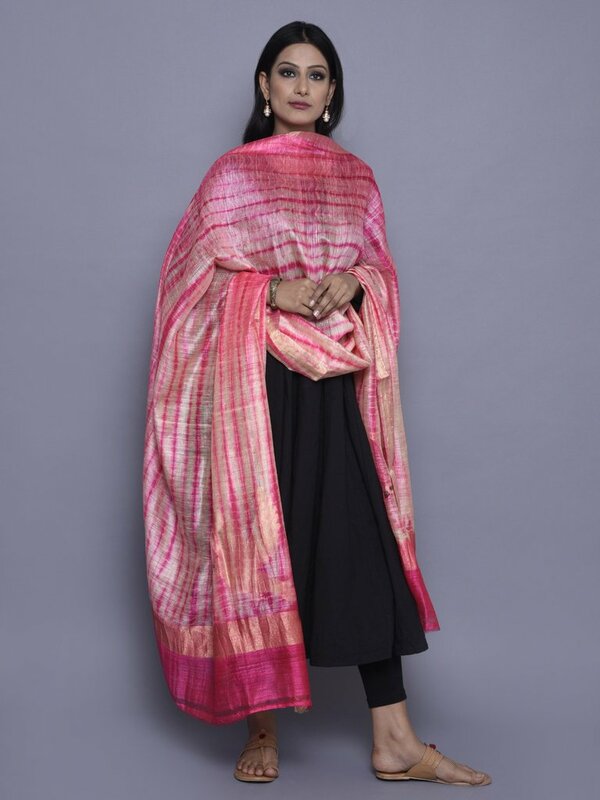 So, to continue… This versatile piece of cloth covers, styles, and protects from heat and dust when needed and helps you to easily notch up an outfit, when the occasion demands. All kinds of ‘dupattas’ exist in this world. The pure linen and cotton ones, to the more stunning hand-woven ones with the brightest of colours, embroidery, weaves and designs. 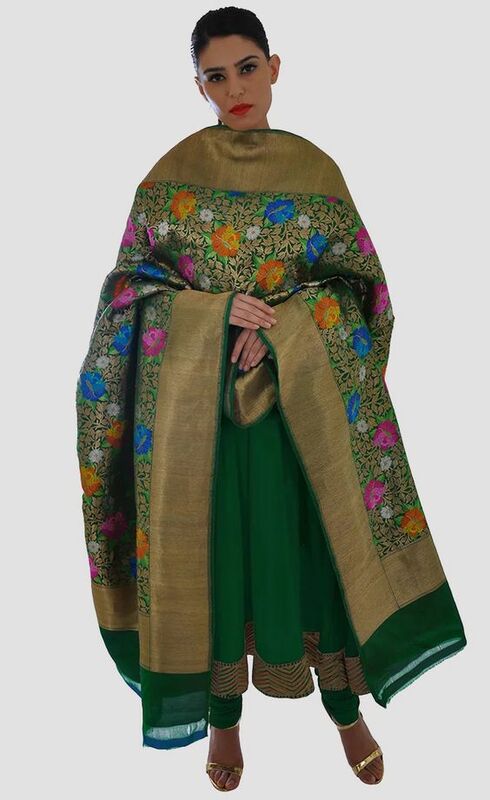 Since, the purpose of my ‘dupatta quest’ is to find one for a festive occasion, I am short-listing some hand-woven prettiness of a ‘paithani’ and a few breathtakingly ‘banarasi’ ones. What do you think? Apparently, the ‘dupatta’ has been around since the times of the Indus Valley civilisation. However, it’s life has got a lot more interesting when Bollywood associated it with depicting ‘romanticism’ or sometimes ‘agony’ too! Though, for now, I’ll just mention a song of years gone by, that focussed on the ‘dupatta’ and used it for depicting joy and romance. Since then, umpteen songs have been written and filmed using the beautiful ‘dupatta’. 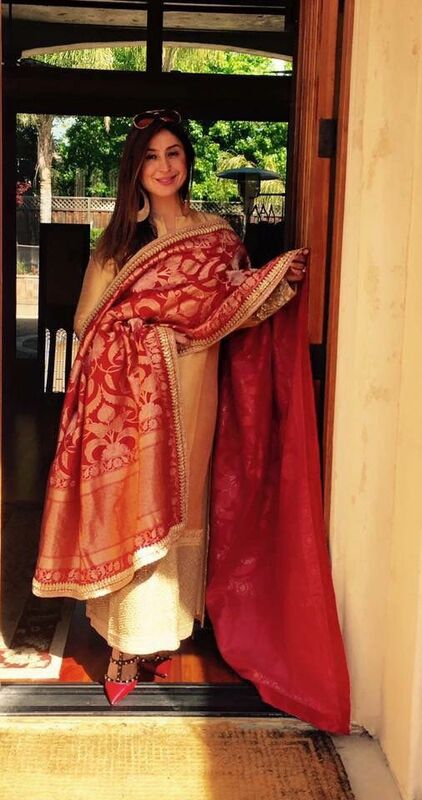 I think I will be settling for a nice traditional ‘dupatta’ with the ‘banarasi’ weaves, that has been created painstakingly by hand and will certainly do complete justice to the occasion. I know I say it often, but I must say it again…. nothing machine made will come close to the beauty of a handmade piece…this ‘dupatta’ of mine will sure be a heirloom piece, so I intent to keep it safe and pass it on to the next generation…So, you too, please, shop handmade, support artisans and the age-old crafts of India…be notjustashopper!